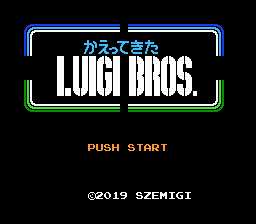 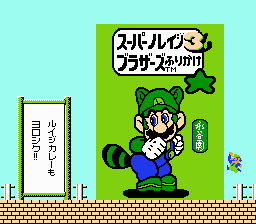 Romhacking.net - Hacks - Kaettekita Luigi Bros.
Hack of Kaettekita Mario Bros.
Luigi Bros. from Super Mario 3D World now return for the Famicom Disk System as well, in a form of a Famicom hack course. 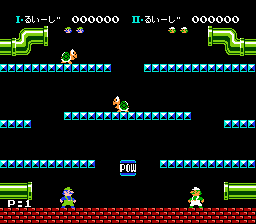 In this hack, you play as Luigi as the first and the second player. 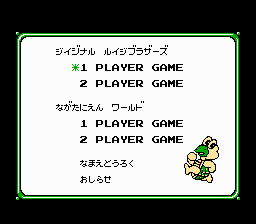 P1 is the modern Luigi, who replaces Mario, while P2 Luigi is the original from Mario Bros.